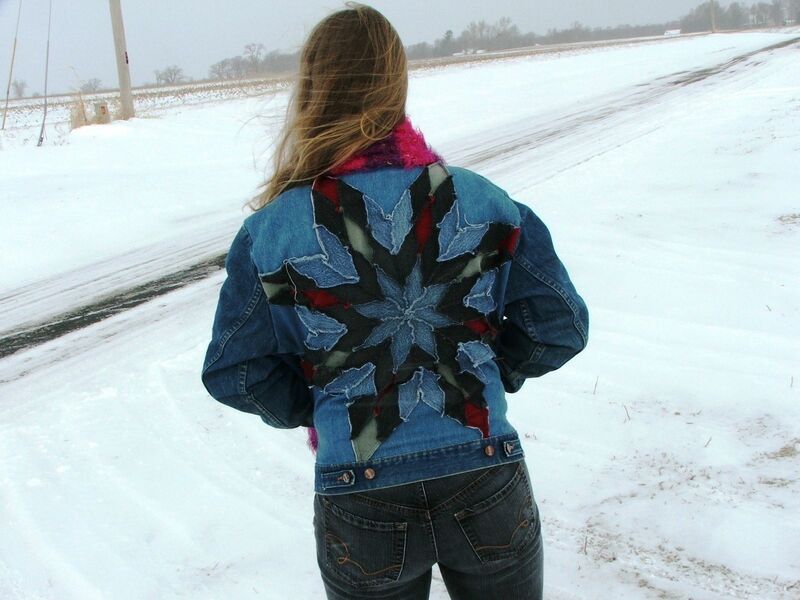 The Nowhere Man is my signature design. 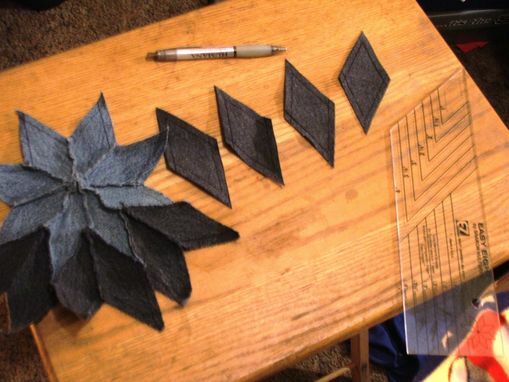 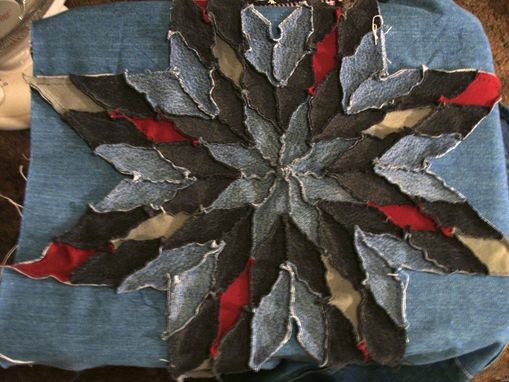 I use scrap pieces of denim to create the star pattern. 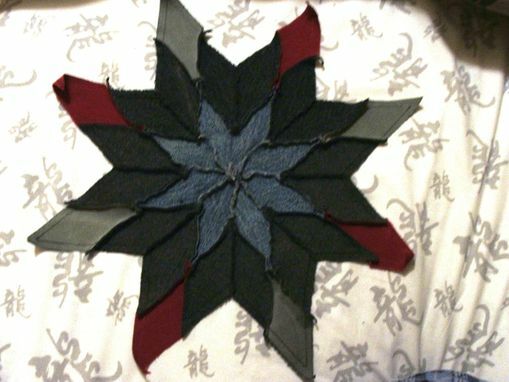 I then replace the back panel of the jacket with this star panel, rough edges out for effect.